In part one of our blog series, we talked about things that you can do to ensure that you have consistent tire pressure. 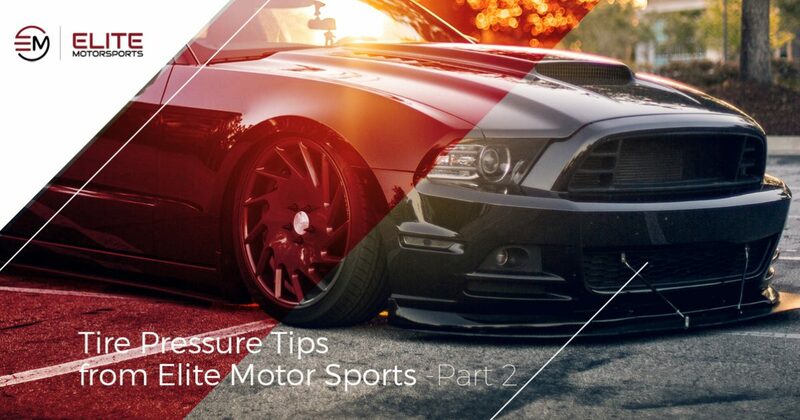 Concluding in part two of this series, here are a few more helpful tips of things you can do to make sure that your tires are at the proper pressure. If you don’t have a tire pressure gauge in your vehicle, you should make it a priority to acquire one sooner rather than later. Checking your tire pressure yourself isn’t your only option, however. The next time you take your car in for service, be it for an oil change, brake repairs or any other sort of maintenance, ask the technician to check your tire pressure. Most mechanic shops provide this service to you without being asked and do so free of charge. They’ll be able to check your tire pressure and let you know if any tires need to be refilled, patched up, or replaced entirely. Getting it done by a mechanic can also give you the peace of mind in knowing that it was done by a professional and that they will give you an accurate reading and make any changes as they see fit. For those of you that want to know how to check your tires’ pressure, it’s a relatively simple process. The first thing you will want to do is find out what PSI (pounds per square inch) your car’s tires require. This can be found in either your user’s manual, though it is also commonly printed on a sticker inside your car, located between the driver’s seat and the door. Some manufacturers also suggest filling your front and rear tires to different PSIs, so it’s important to pay attention to this. From there, you will unscrew the tire valve cap from your tire and attach the tire pressure gauge to it. Press it firmly into the valve to get a reading. If you’re using a manual reader, the meter will eject to show you what your current PSI is, while a digital reader will simply display the PSI on the screen. This can be a somewhat tricky process the first few times, so feel free to do this a few times until you get a consistent reading. Compare that to what your suggest PSI is for that tire and proceed accordingly. Many factors can affect tire pressure changes, from a fluctuation in temperature to towing extra weight, so it’s important to keep this in mind when checking your tire pressure. Hopefully this resource on tire pressure has been informative for you. At Elite Motor Sports, we are proud to serve the greater Woodland area with high quality wheels, lift kits, tires, suspension systems and more. Whether you’re looking for a simple replacement part or looking buy an entirely new set of tires, Elite Motorsports is here to help you get exactly what you need. To find out more information about our products and services, contact Elite Motor Sports today!